Said he'd let us know if he hears anything definitive. That would make sense. But I believe the discrepancy happens at 11:45 when they are burying Tweety. I'm watching the riff old skool, so we will see. Wait, so there is an actual problem - that's the first time you've offered that bit of info up - I thought you were asking before purchasing a DVD. Grug. I love you to death buddy. But I've been here for a while, put together over 100 riffs, so I'm not going to go tossing crazy around unless I think it warranted. Which is why I probably don't belong on the internet. I'll let everyone know which version we used in the morning. 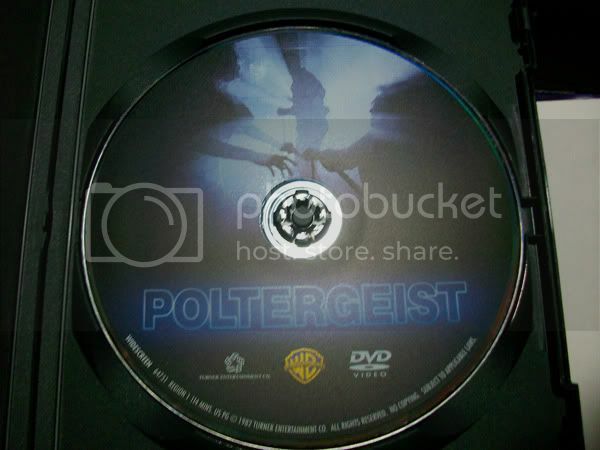 I got the disc from a netflix envelope, it said Poltergeist on it, didn't give it much more thought than that since there was only one cut of the film on the disc. Sorry. I used to own the movie a while ago. I think that both versions have Carol Anne(sp?) on the front of them touching the television screen. But now I think the discrepancy happens at 9:00 or around there. Mr Torso is much better at this than I am. It seems like there's almost always multiple versions of DVDs out there now for every movie, so I'm not surprised this is coming up again. It was brought up in the other thread too. The only other DVD, besides the 25th anniversary version, that's out is OOP, so it's unlikely that that version came from Netflix, unless they didn't upgrade their DVD versions of it when it came out along with the Blu-ray. I'm using the 25th anniversary edition - non Blu-ray, although I imagine it is exactly the same as the Blu. Ok, we've got the 25th anniversary edition in the office...the one we linked to on the product page. I haven't pinned it down exactly but by the fourth sync line (16:34) it is off and I have the 25th anniversary one. I have found the older DVD and am comparing them now. I am supposed to have one in my store but I couldn't find it. Have you guys had any other support questions about this? I know that the bread and butter is riff player and ipod customers but at least two of us re-authorers have seen sync discrepancies when using the Warner Bros. 25th anniversary edition vs. the older MGM disc.